Interested in a Ford Falcon? It's as Aussie as a kangaroo asking you the score in the cricket, or at least it was, and while it’s hard to believe now, as SUVs dominate the roads and local production has ended for good, but there was a time when the Ford Falcon was our biggest-selling car (first knocking off the then-beloved Holden Kingswood for sales supremacy in 1977). It’s also a pretty safe bet that it will keep its record as the longest-running nameplate for an Australian-built car, forever, with its production run extending from 1960 to 2016. The Falcon is a full-sized family sedan, also sold as a station wagon - back when they were popular - and was very much designed and built for Australians and Australian conditions. Until we all decided we’d rather drive Japanese-built SUVs instead. 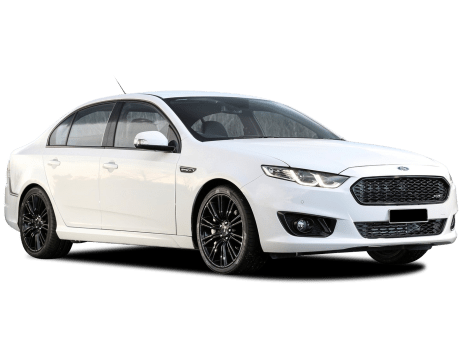 Whether it's the base Falcon (base) or the top Falcon XR8 Sprint, the $24,090-$62,480 Falcon remains a legend and is no doubt still the family car of choice for a few, diehard, dinky-di Aussies.